A viable, dedicated platform for independent and art films has been needed. Enter OVID, a recently announced partnership between Docuseek and six independent film distribution companies. The death of FilmStruck late last year was a grim development for cinephiles, who’d quickly come to love the young site as a go-to source of classic, international, and arthouse films. Ahead of the closure, the Criterion Collection, which had partnered with FilmStruck, announced that it would be launching its own dedicated streaming channel this year. Heartening news, to be sure, but Criterion is a boutique label that is purposefully selective about what it distributes. There are thousands of independent and art films in need of some kind of push, and the major streaming sites like Netflix and Hulu are increasingly foregoing licensing in favor of producing their own content. These films may be made available on services like Amazon and iTunes, but it’s all too easy for them to get lost in the crowd there. A viable, dedicated platform for these films is needed. 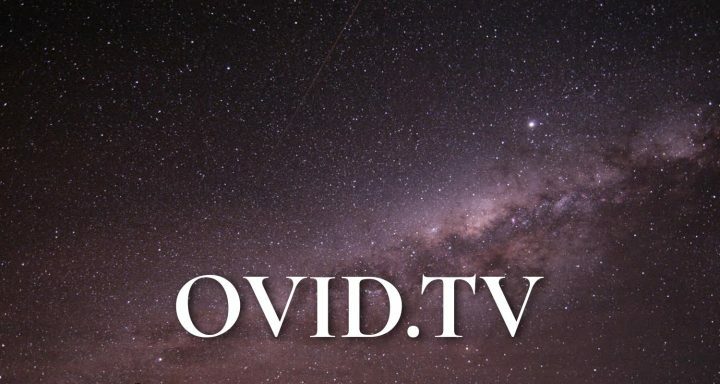 Enter OVID, a recently announced partnership between academic documentary service Docuseek and six independent film distribution companies. Together, these partners — Bullfrog Films, Distrib Films US, Grasshopper Film, Icarus Films, KimStim, and First Run Features — control the rights to thousands of different documentary, arthouse, independent, and international titles. OVID will be an on-demand subscription service offering selections from these various catalogues. OVID is planned to launch in March, at which point its slate will consist of hundreds of documentary titles. Fiction titles will be added in the summer, and further curated selections will be made available on a monthly basis. The site stresses that many of these films will be unavailable to see anywhere else. It promises to feature filmmakers Chantal Akerman, Chris Marker, Bill Morrison, Jean Rouch, Wang Bing, Bi Gan, Pedro Costa, Claire Denis, Bruno Dumont, Cheryl Dunye, Eric Rohmer, Raul Ruiz, and Jean-Marie Straub and Danièle Huillet. Hopefully this gambit pays off, and a viable new channel for cinematic voices outside the mainstream can develop, or even thrive.